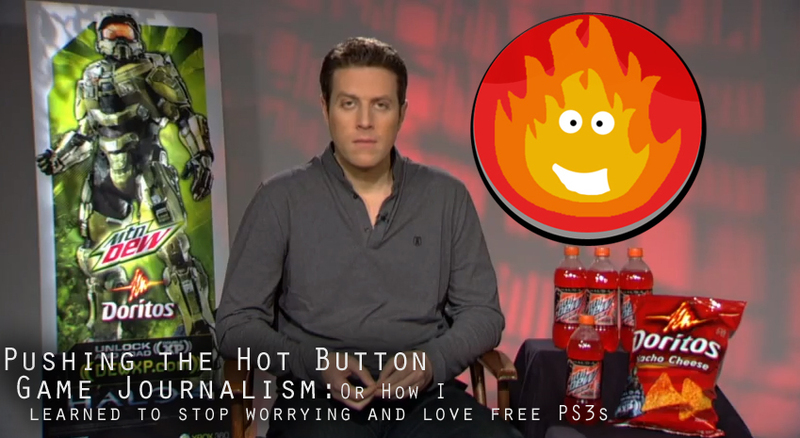 From the deep, dark recesses of our bribe-laden offices comes the latest episode of Pushing the Hot Button, regarding a recent controversy that involves Eurogamer, free PS3s, and cynicism. Well worth a listen, if you can handle the heat! This episode is definitely brought to you by corporate influence.